Reintegrating biodiversity into urban space raises profound questions about its natural ontological dimension. Specializing in narratives, philosopher Pierre Musso explores the history and confrontation of representations of the city as a machine or an organism, a game of metaphors that runs throughout Western thought. Seen as a giant automaton associated with industrialization, its assimilation into the living would be distinctly at variance with the onslaught of industry. The city is alive because it is creative and criss-crossed by flows of humans and materials, and also because of its vulnerability, exposed like every life-form to death by technical asphyxiation, overpopulation, or dispersion. Reliant on its networks, it is fundamentally reticular, from both practical and symbolic points of view. The success of the idea of the city also forms a counterpoint to the idea of the automatic city, the smart-city, guided by algorithms, data, and artificial intelligence. The city is thus primarily textual in nature, a medium for our imaginations, fears, and projections. The city is a complex and dynamic system. In order to approach it, two major metaphors are often used, as pointed out by Italo Calvino: the machine and the body, the artificial and the living (in English we often speak of “vibrant” and “dynamic cities”). “It looks, indeed, as if we are approaching a period of crisis in urban life; and Invisible Cities is like a dream born out of the heart of the unlivable cities we know. Nowadays people talk with equal insistence of the destruction of the natural environment and of the fragility of the large-scale technological systems (which may cause a sort of chain reaction of breakdowns, paralyzing entire metropolises). The crisis of the overgrown city is the other side of the crisis of the natural world.” Italo CalvinoItalo Calvino, “Italo Calvino on Invisible Cities,” Columbia: A Magazine of Poetry & Prose, 8 (1983), 37–42. This is a possible death for cities whose limits have become blurred: spread out, fragmented, exploded, becoming so extended that the frontiers between urban and rural are disappearing in the grey and blurred zones now called “rurban.” Suffocating to death, through abandonment or through dispersion? The city is vulnerable just like life itself. This is one of the origins of the metaphor of the “living city”: emphasizing its fragility and connoting it positively as a permanent creation (versus the dead city). For the philosopher Georges Canguilhem, to be alive requires four characteristics: specificity, individualization, irreversibility, and totality.Georges Canguilhem, La Connaissance de la vie (Paris: Librairie philosophique Jean Vrin, 1965). To say that the city is alive is to say that it is mortal, to set a temporal horizon for it. The city is born, grows, and then dies. In the modern West, the image of continuous circulation within the organism has been used to describe the living since 1628 when William Harvey discovered the continuous circulation of blood within the human body: its continuity guarantees life, its interruption means death. Circulation and the figure of the circle also became referents for a vision of the organism: “Harvey,” says Canguilhem, “came to the conclusion that the blood of an animal is a given liquid mass contained with a closed system where it circulates, in other words, it moves in a circle.”Georges Canguilhem, “Physiologie,” in L'Encyclopedia Universalis (Paris, 1971). Here we have the beginning of the notion of the organism conceived as a totality organized by the circulation of multiple fluids within networks (nervous, blood, lymphatic). The city is alive because it is a reticular system, made up of flows, avenues, arteries, conduits, pipes, crossroads, etc. The idea that networks make up the city is primordial, whether they are technical, social, cultural, or economic. If the technical networks (transport, energy, communication) come to a halt, life in the city is instantly interrupted. What makes a city is what happens within it: encounters, events, and actions, favored or stimulated by sociocultural networks of all kinds. Italo Calvino says that the city “is a place of exchange, as any textbook of economic history will tell you—only, these exchanges are not just trade in goods, they also involve words, desires, and memories.” We are in the city to live, act, and meet each other. So the bodily or biospheric metaphor of the city signifies its “life” and its “vitality” in the sense that Jean-Baptiste Lamarck used the term. At the beginning of the nineteenth century, the father of biology explained the phenomenon of life through the use of two facts: the elementary tubular structure of the body and the circulation of liquids within those tubes. The two conditions are complementary and necessary: the existence of “capacities” and the continual circulation of fluids within. The ambivalence of life (circulation of flows, the body functions) and of death (breakdown, the body ceases functioning) is co-substantial with this metaphor and with the notion of “life” identified as flows within “capacities.” The philosopher Saint-Simon took Lamarck’s definition of life and used it to imagine a whole society: “The action of liquids circulating within the capacity of organized bodies is essential in the development and maintenance of the phenomenon of life.”Henri Saint-Simon, “Mémoire sur la Science de l’Homme (1813),” in Oeuvres complètes, (Paris: PUF, 2013). “I have conceived of a plan for a new city with a human form. The head is the temple of my city. The summit hosts the priests; on the two sides the scholars and industrialists; in the center, the musicians and the other artists I suppose. The ceremonies of the temple take place here, around the neck are the paths used by scholars and industrialists, that lead to their respective homes and their places of work. Within the chest I see the academies, the academics, the houses of learning, everything that might be connected to development and teaching. Here in the belly, will be the workshops for production. Then in the thighs and legs I see boardwalks, the Champs-Élysées and the woods of Boulogne. The feet will correspond to dance halls, theaters, places in which to rejoice after work.”Quoted by Henry-René d'Allemagne, Les Saint-simoniens, 1827-1837 (Paris: Gründ, 1930). In the wake of Saint-Simon, the organicist metaphors used to define the city multiplied. Urban planners spoke of “the arteries of the city,” comparing the center to the “heart of the city,” and the “lungs” of the city were its parks and green spaces. In the city’s undergrounds its guts and its sewers could be found; In Le Ventre de Paris, Émile Zola thus compared the central Halles of the capital, built under the Second Empire, to its stomach. The sociologist Yves Stourdzé brings us this text by Alexis Legrand, who designed the French rail network in 1842: the railroads “carry movement and life from the center to the extremities; and these extremities, in turn, send back to the heart of the State the movement and life that they have received.”Yves Stourdzé, Communications et société (mimeographed text, Paris: IRIS-Université Paris-Dauphine, 1976–78). Behind this image of the networks the metaphor of the fabric of life continues to operate. The inflation of metaphors leads one to question the very notion of “life” itself. This strange concept has a double meaning that comes from its Greek etymological root: at the same time zoe that designates life in common, animation, movement, and development, and bios that defines the form of the activity and the way of life. This concept also has its own history: it can be precisely dated, developed in the context of the period between 1750 and 1850. As Georges Canguilhem has clearly shown, it was a matter of a transition between two great models of the living organism. From Aristotle to the middle of the eighteenth century, the living organism was likened to that of a machine. For Aristotle, organic finality is a specialized technical finality: the organs of animal movement are organa that can be compared to elements of war machines, for example the arm of a catapult that will launch a projectile. The machine is the model of the living body and the inverse is also true when it comes to automata. Using cell theory, the relationship between the whole and the part can be considered in a new way: a part, in other words a cell, can generate a whole. The totality is contained within the seed, within the part. In the “technological model,” the organism refers to the machine; in the “economic model” developed by Claude Bernard, it refers to the factory and the division of labor. Wanting people to understand cellular theory, Claude Bernard compared the organism to a city, “a city with its own special character”Canguilhem, “La Connaissance de la vie,” 69. where the division of labor reigns. The city/organism metaphor has become irreversible. Organic, organization and rationale are identified. In her beautiful book on the subject, philosopher Judith-Edith Schlanger highlighted that “the thinking of the organism is generalized in logic and becomes the model and the archetype of rationality; on this point, organic and rational are synonymous.”Judith-Edith Schlanger, Les Métaphores de l'organisme (Paris: Vrin, 1971). In other words, the analogy between the human body and the social body leans on the idea that both are rationally analyzable wholes, that depend on identical logic. Self-referring, the living body is a model of rationality for other systems of organization, beginning with the city. After Enlightenment philosophy had naturalized the social, “baroque physiology” offered it a physiological model of explanation. From that point onward, the rationalized, medicalized body could be used to analyze any complex system, including the city. The organism was the most complex natural system, it could serve as a means of interpreting an urban system that was difficult to decipher. Since the middle of the nineteenth century, the concept of “life” has become worn out. The abuse of its metaphorical employment has only emphasized this wearing down. In 1865, in Introduction à l’étude de la médecine expérimentale, Claude Bernard had already highlighted its vacuity: “Life is just a word that means ignorance”. “Vital” signifies that we ignore the cause of a phenomenon: and so we speak of “a vital spark” or of the “vital force”. Qualifying the city as “living” is like admitting one’s inability to think. Everything pleads for the removal of this cumbersome metaphor. For these materials of the living as deciphered by Bichat, let us substitute the matter of the text in order to decipher the city. Let us pursue this line of thought. It is not only the city that has changed, it is also its representations and the paradigms that serve as references. Thus, the image of the living body is constantly evolving. Technological-body, factory-body, network-body, machine-body, hybrid-body, cyborg, etc. The contemporary model of the living has become cybernetic because the reference for the body is the computer, or an automaton. The body, provided with “software,” can be programmed, measured, calculated, and coded. So one can consider the city as a large automaton that has also been provided with software, Artificial Intelligence: and thus the smart city processes the mass of data collected by sensors or provided by users. Will the “living city” be the counterpoint or antidote to the automatic city that outlines the horizon of the techno-scientific, or rather the extension of the imagination of a computer body transposed onto an urban body? Anti or auto? The physiological paradigm also offers a model of rationality in which vision triumphs. The “living” being self-referential has no need of exterior illumination (divine) to reveal its functioning. The visible is the legible. Truth can be seen in the forms, the structures, the materials, and the organization of the body and of the “living city”: it is useless to seek an invisible order, or a hidden God, everything is here, visible, fully exposed to the light, it is enough to observe it. The anatomy of the city is sufficient. The paradox of this clinical approach to the city is “to hear a language as soon as it perceives a spectacle,” as Michael Foucault wrote. In effect, the shift is rapid if we use the equation visible=legible=enunciable. This is why the city is a language, and even a writing (Roland Barthes), made of signs, tales, and symbols. Italo Calvino says, “Cities are a collection of many things: memory, desires, of signs of a language.” Cities considered as organisms attract metaphors, like moths to a flame. They evoke the imagining of coupled bodies, living/machine, natural/artificial, utopia/dystopia, etc. By manipulating these ambivalences, cities are simply stating their power and their fragility. 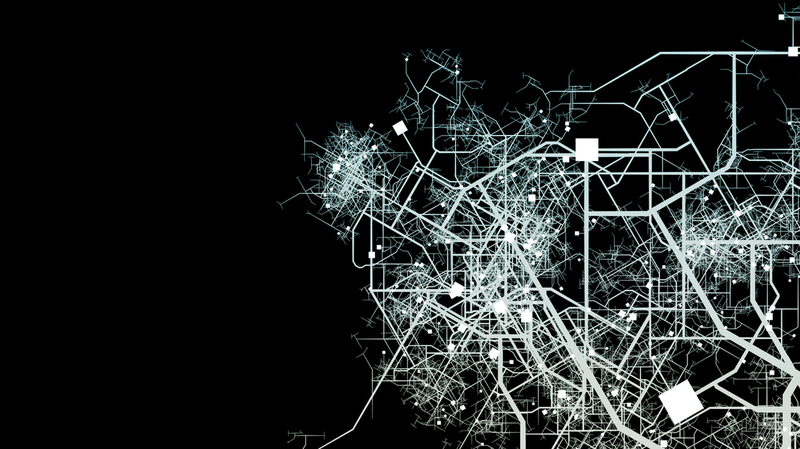 To interpret the city in its infinite complexity, it would be better to approach it as a text. Michel Butor had already begun to do this, noting that “the first large cities were contemporary with the invention of writing in the true sense of the term.”Michel Butor, “La Ville comme texte,” in Répertoire V (Paris: Minuit, 1982). The city-text would then be a material of signs rather than of flows, a corpus rather than a body.